Game of Thrones returns to HBO tonight with the long awaited premiere of Season 7! 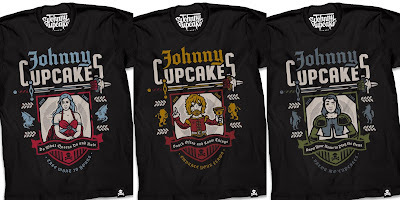 To commemorate this amazing show’s season premiere, Johnny Cupcakes has released three new Game of Thrones inspired t-shirts. 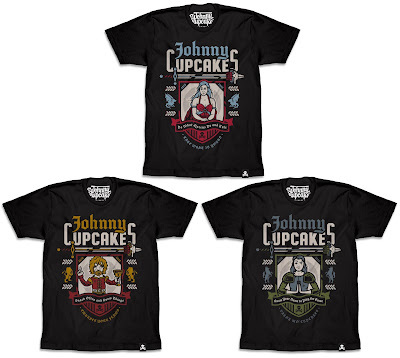 Each GoT tee features a different key family’s coat of arms and a beloved character from the series: Emilia Clarke’s Daenerys Targaryen, Peter Dinklage’s Tyrion Lannister and Maisie Williams’ Arya Stark. 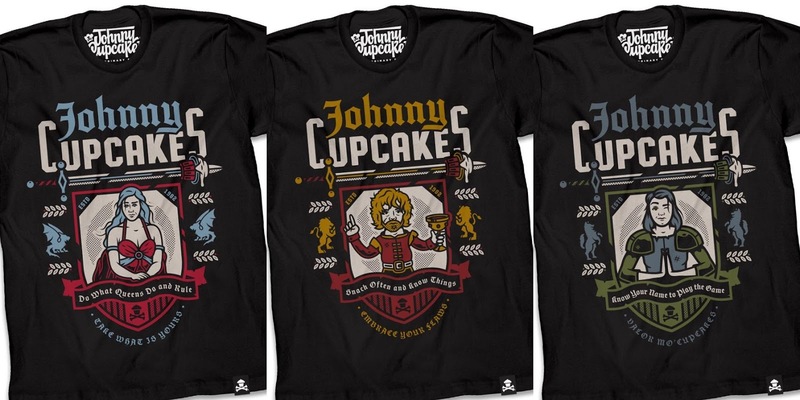 All three of these Game of Thrones Coat of Arms T-Shirts are available now, in sizes S-3XL, at the Johnny Cupcakes online store for $35.99 each.